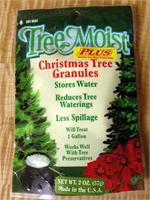 Christmas Tree Care Kits include all your tree care supplies. Tree Life will keep trees greener at home. Tree Removal Bags 144'' x 90'' 50 per case. A must have for your lot or choose-n-cut.